While the MLB will start their regular season on March 31st, PS3 owners have been enjoying virtual seasons for a few weeks thanks to MLB 11: The Show. I am one of those people, and since I don’t have the luxury of talking about it with friends, I have decided to do the next best thing: write a weekly journal about my experience. 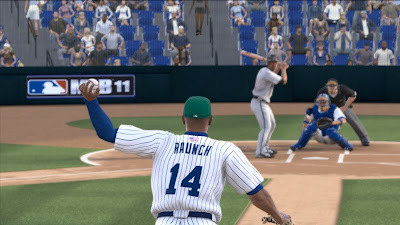 Anyone who has talked to me or read my review of MLB 10: The Show will not be surprised to learn that I love baseball. My undying loyalty to the Boston Red Sox is also no secret. So when I was given the opportunity to create my own player in the Road to the Show mode, the choice was obvious. Even then, I could only pick my initial destination. It was a matter of 70 regular season games before my dreams of climbing through the ranks of the minor leagues to become a Red Sox legend were destroyed. 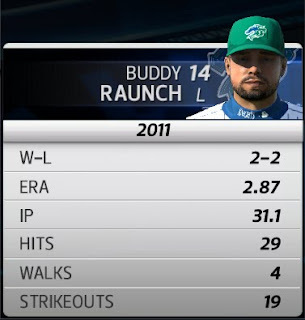 Buddy Raunch (don’t ask me about the name—there is no rhyme or reason to it) was traded to the Chicago White Sox. I have held off on going any further in Road to the Show. Instead, I have been debating if it would be the right thing for me to continue playing as Buddy Raunch. After all, I could still have my moment to shine in Fenway Park, but it would be as part of an opposing team. A fan’s loyalty to a team comes with historic baggage. He not only cheers for that team, but also wishes the worst upon their rivals (okay, maybe that’s an exaggeration.) The fan has to defend their team’s honour when outsiders criticize it. Some fans have waited years to see a championship in their town, only to have their dreams shattered every year. Still, that doesn’t stop them from cheering their team on. We also can’t ignore the new fans—they are still the ways of the sport, but one day, hopefully, they will be just as passionate about the team as anyone else. Some of the greatest rivalries in sports are about national pride, as can be seen in soccer or, clearer still, when India and Pakistan meet in a game of cricket. Billions of fans are going to be divided due to their loyalty to one side or the other. 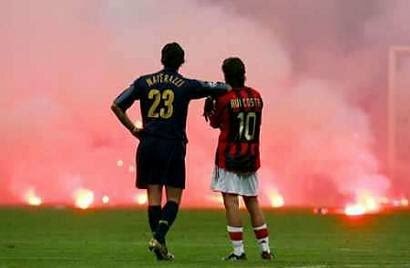 Inter Milan and AC Milan have occupied the same city for over a hundred years. A fan’s social standing was the basis by which they decided which team to cheer for. The social divide has decreased over time, simply due to the increased exposure of soccer to the world. And then there is the rivalry between the New York Yankees and the Boston Red Sox. The bad blood also comes from the organizations themselves. 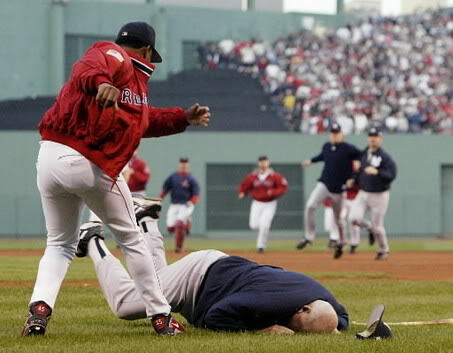 Take a look at a 2003 playoff matchup in which then-Red Sox ace pitcher Pedro Martinez caused a bench clearing brawl after he hit two Yankees batters in the same game. It led to a boiling point during which Don Zimmer, then 72-years-old, ran towards Martinez, who dropped him in an instant. My point is that cheering for a team goes beyond a person rooting for a win. Depending on where you live, that team is a part of your culture and society, eventually elevating the team and the game to an iconic level. Sure I didn’t get traded to the Yankees—even in a video game, there isn’t enough disbelief to suspend. But being traded to the White Sox does mean that I could eventually end up there due to a third party between the Red Sox and the Yankees, and I would not have any control over it. This issue is just a culmination of maybes, but do I want to play through two, three or 10 seasons only to realize all my work was for nothing? Maybe I was lucky Raunch got traded approximately four months into his first season. 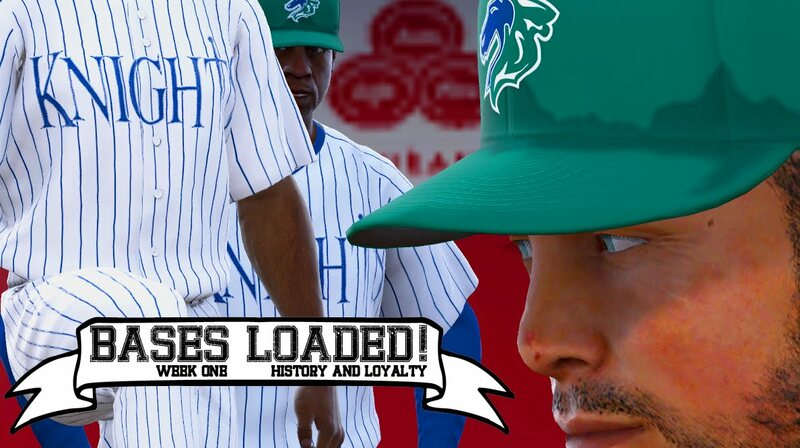 I get that this is just a video game, but the decisions tied to it hold the weight and responsibility that I, as a Red Sox fan, have to my favourite team and its history. Even after all this is said, I haven’t made up my mind yet, but with the season only days away, I can hopefully start Franchise Mode with the updated roster for the regular season. At least my only concern then would be to win the World Series. That is the life of a sports fan.